This guide explains how to jailbreak iOS 8.3 using TaiG 2.1.2 with all fixes and Cydia Substrate support for both new jailbreak users, and existing ones who are already jailbroken using TaiG 2.0. Step 1: Launch Cydia and let it refresh/reload everything. Update: TaiG 8.1.3-8.x Untether v2.1.2 package is now also available on Cydia’s default Telesphoreo repo. Step 3: Search for TaiG 8.1.3-8.x Untether version 2.1.2 package, as can be seen in the screenshot below, and install it. Step 4: Reboot your iOS device. That’s it! You should now have all the updates which are part of version 2.1.2, including full support for Cydia Substrate. If you haven’t jailbroken using TaiG yet, it’s time to do so as fresh new version is out now and it fixes all of the major issues which were part of initial release. 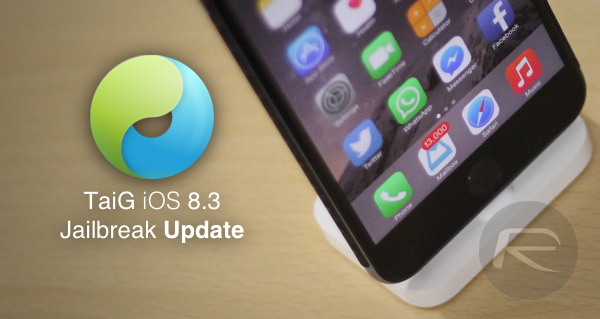 TaiG 2.1.2 support all iPhones, iPads and iPod touches running iOS 8.3, iOS 8.2 and iOS 8.1.3. Step 1: Download the latest version of TaiG from here: Download TaiG 2.1.2 For iOS 8.3 Jailbreak With Support For Cydia Substrate. Step 3: That’s it! Once jailbroken, you should have Cydia running on your device. Let us know if you encounter any problem during or after jailbreak process. 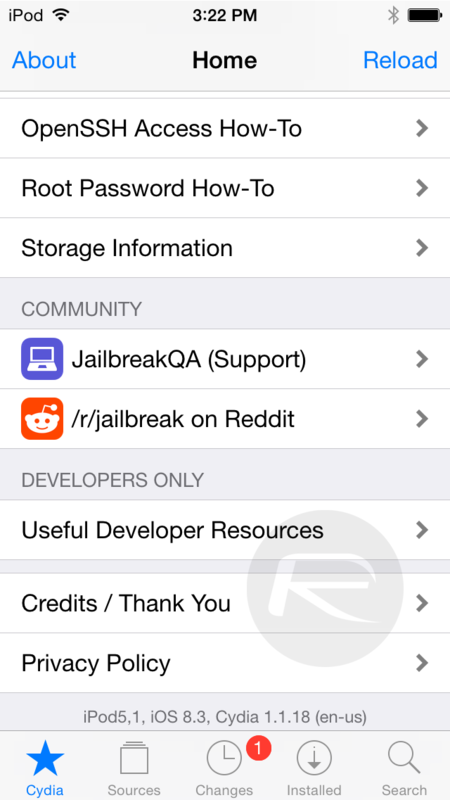 Check out list of iOS 8.3 compatible jailbreak tweaks to install on your device: iOS 8.3 Compatible Jailbreak Tweaks On Cydia [List]. I used 2.1.1 yesterday to jb my 5.2 device, now this upgrade worked just fine! still disappearing for you on 2.1.2? Try to jailbrake with taig 2.1.2 but gives me apple driver hasn’t been found. Any solution? even i have the same problem on my iphone 5c running ios 8.3 n with taig 2.1.2……. after i get open the cydia icon my screen goes blank ofr several minitues then my icons disappear. i tried twice both times i had to restore my device. Someone can help me please: I downloaded Taig 2 last version on windows, but it seams i need a register code to activate it, someone can tell me how i can get one?